The Arroyo Seco branch was completed in 1914. 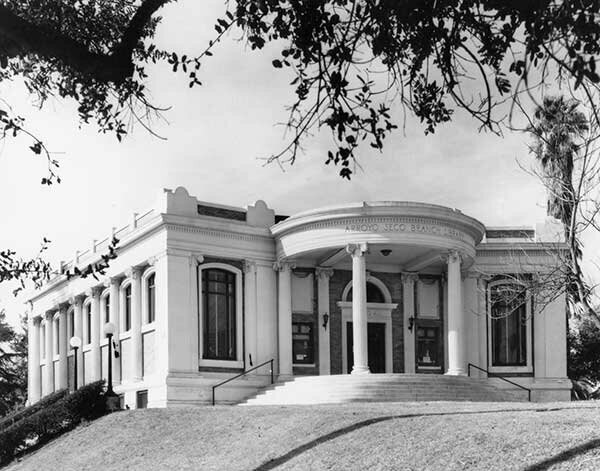 It was the second branch built between 1913 and 1916 with a $210,000 Carnegie grant obtained by Los Angeles in 1911 and designated for six branches. All but one included a basement assembly room and an outdoor reading area. The architect, Frederick Ashley, designed the building in the Classical Revival style. 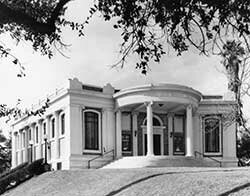 The Arroyo Seco branch can be traced back through the old Garvanza and Highland Park branches to the Stimson Memorial Library at Occidental College. The building was demolished in 1959 and the new Arroyo Seco branch built on the same site.